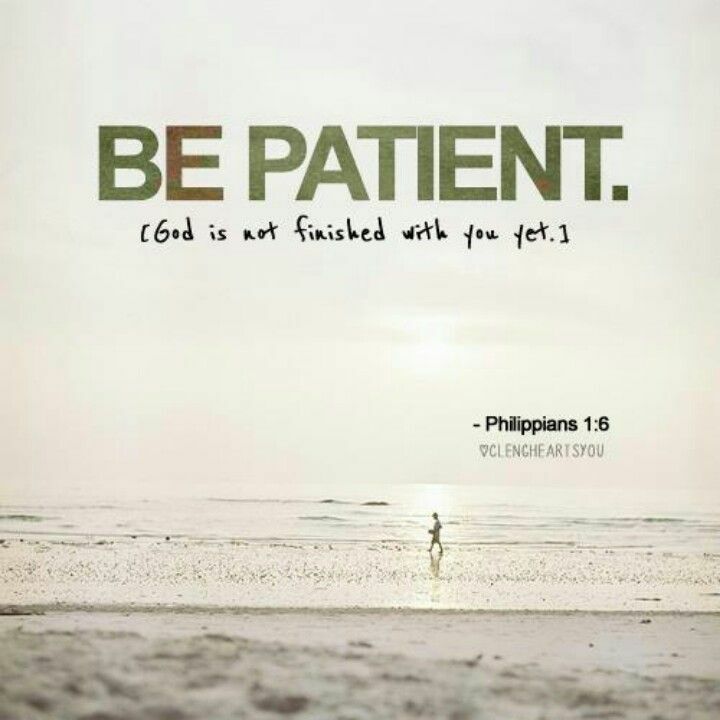 Let patience have it’s complete and perfect work in you, says the Lord. Do not try to force things to happen that you want fulfilled. Let Me develop you. Let Me lead you. Let Me build you. Let Me prepare you. You say that you are ready and able, but I Am the one who knows what you need for your next season and assignments in Me. I Am an on-time GOD that is within you cause you to will and to do My good pleasure. Did you think that I Am incapable of perfecting that which concerns you? I will know when you are ready to advance. I will not bring you into a place of labor before your time. I will not lead you into the next level until you are ready for advancement. BE PATIENT, says the LORD. Being unprepared will cause you to be unequipped for the purposes that are before you. I will not only prepare the way, but I Am preparing you. Wait on Me an trust in Me, says the Lord. You are not dormant or stagnant. The progress seems slow to you, but I Am a God of detail. The hidden things are being perfected in your life. The details are important. Everything must have perfect function and alignment within yourself so that you will be entirely furnished onto every good work in Me. Patients will cause you to be content, not passive. I Am not passive and I am continually working and moving, developing, changing, aligning and preparing. The place I have prepared for you is ahead, and as you wait patiently on Me, I will bring it to pass. I have you. I have your times. I have promised. When things do not move at your pace, remember that it is MY pace that counts. When I say stand, stand still. When I say wait, wait on Me. When I say move, then Move with me, always looking at the cloud of My presence for your forward cue. You will not miss your destiny as you wait on me to prepare not only the place, but you, says the LORD.